This is a resort getaway at its finest or call it home all year long! You will fall in love with this tranquil and private condominium that offers a wide array of first-class amenities. Welcome to the prestigious Desert Princess community! 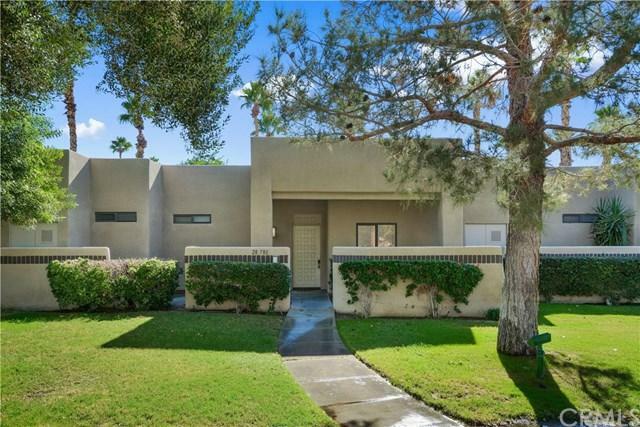 This beautiful, meticulously maintained and updated condo is steps from the pool and overlooks the gorgeous Desert Princess golf course greens. You will look forward to entertaining and making memories in this private, gated community. There are 2 master suites in this furnished condo, each with sliding glass doors that lead out to the peaceful back patio. The Desert Princess Country Club is a 27-hole PGA Championship golf course boasting majestic views of the serene nearby San Jacinto mountain range. The HOA includes 33 community pools and spas, 9 Plex Pave tennis courts, a fitness membership with state-of-the-art equipment, a full-service spa, a Social Membership to the country club with 20% off food, (no monthly minimums) and many more luxurious amenities. The Desert Princess Community is conveniently located just minutes from the Palm Springs International Airport, Downtown Palm Springs, Palm Springs Tramway, museums, casinos, shopping, vintage boutiques and renowned restaurants! Sold by Becky Johnson of Larson Desert Realty. Inclusions Furnished Per Sellers inventory List.